Rewarding Times are delighted to team up again with Travel Escapes (an Irish Times Travel partner), to bring you a 7 night 5* All Inclusive Crete holiday in the 5 star Porto Plantanias Resort and Spa on the 14th of April 2018. Normal Price €899 per person. 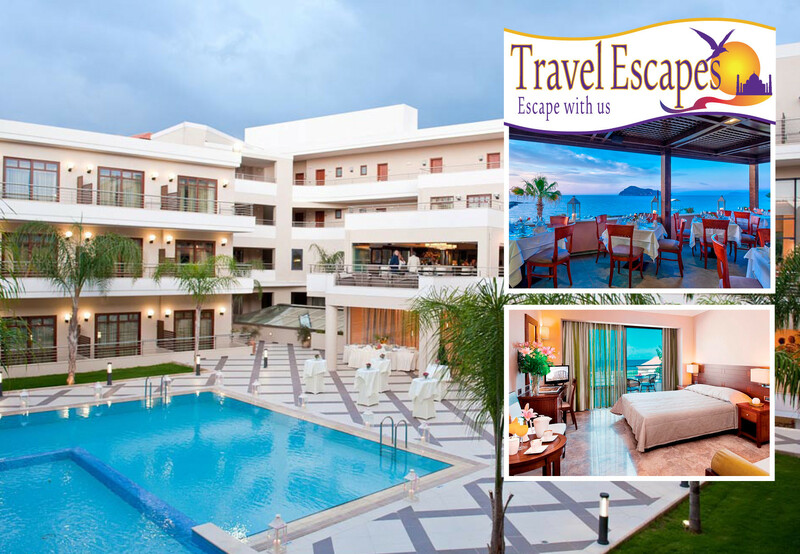 SAVE €250 (€500 per couple) - Special Rewarding Times Offer - €649 per person.